Bradley Matrock from Score Publishing and Digital Book World asks Kinga Jentetics, CEO of PublishDrive about PublishDrive’s new pricing model. PublishDrive announced three new features at this year’s Digital Book World: a new ebook conversion tool, a categorization tool with AI, and a new pricing option that allows authors to keep all of their royalties. Kinga Jentetics shares how the new pricing option works and the inspiration behind it. If you attended ThrillerFest 2018 (July 2018 NYC), the annual conference of ITW, International Thriller Writers, then you know what a great experience this event is for book people who have a special interest in thriller fiction. The gathering was created in 2004 by successful, bestselling authors to bring thousands of writers, readers, publishers, producers, editors, and agents together to promote and support thriller authors everywhere. If you did not have the chance to attend this friendly, educational, career-enhancing conference, put it on your list for next July in NYC. 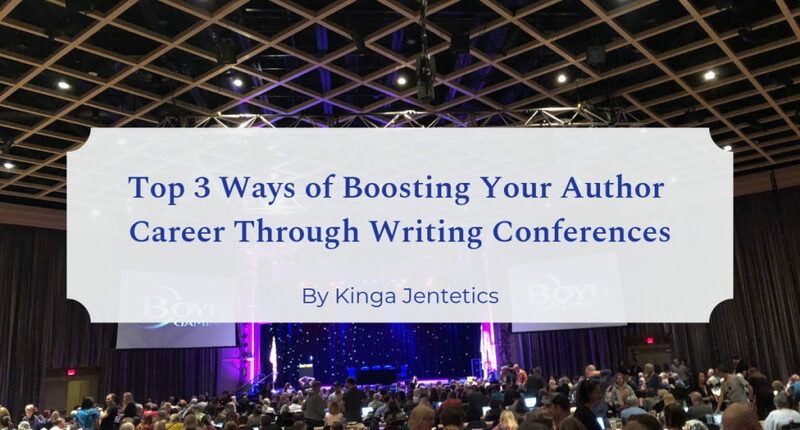 For now, I offer a few key takeaways from the various panels I attended that were peopled by high-profile authors and professional book marketers who gave their time over the 4-day event to help newbie and debut authors on their journey to publishing success! Cutting edge technology is usually here to solve problems we never knew we had at the first place. There is much less talk, however, about problems that have been around for a while and have finally become close to being solved. Some of the problems creative industry as a whole is facing concern author payments, licensing and rights. With an amazing amount of ‘free’ content available (speaking of music on Youtube or Spotify, news and other types of journalistic content, books and images), it is hardly traceable how and when the creators will get paid. With an astonishingly long chain between writers and readers, creators and audience, it is only a fraction of the money that gets back to the original creators of the IP. Not to mention that in addition to taking a big slice of the cake, end-distributors use data and advertising revenue generated mainly by content they don’t own – this data and revenue is never redistributed. Unauthorized use can range from posting a cool gif on tumblr without crediting the original creator (as there is literally no way to find it) to obvious theft. It is not only end-user piracy content creators are afraid of, but monetizing stolen IP. There is always the option of better DRM. But does it really solve the problem? Putting aside the constant scare of whether robots will soon take our jobs – coming even from creatives -, AI is already here and more and more companies are using it. But what does AI stand for and how can writers and publishers utilise artificial intelligence? This article starts with a little history for newcomers, then explores some solutions that are already existent and available for all and poses some questions about the future. This year’s Frankfurt Book Fair is all about innovation and technology. On this note, let’s explore what AI can do for publishers, and whether there is anything publishers can do for AI. Introduced at the London Book Fair in 2017 PublishDrive’s brand new Book and Seek feature is a quality assurance management tool to help provide transparency and quality assurance in the publishing industry. It might sound obvious, but it is good to keep in mind that a book will only make you money, if it is out on sale. We found that working with more distribution partners at a time, keeping track of your books on sale in different stores can be chaotic and time-consuming. On our Book’n’Seek platform you can simply use ISBN and later on your titles to search for you books and monitor the stores in which they are available for sale.